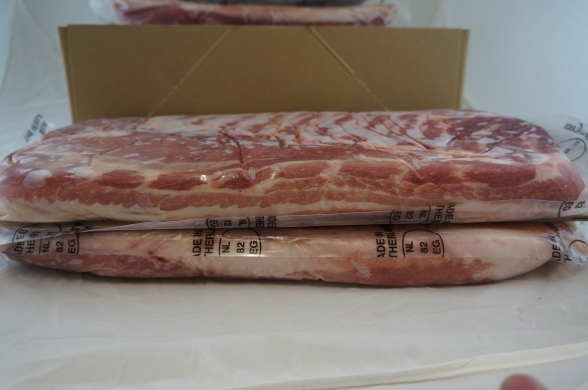 Imported from the Netherlands, these premium pork bellies are single ribbed, carrying much of the finger meat usually found in a rack of Spareribs, but without the bones. Trimmed to be square cut with rind on. One of our most popular products in almost every ethnic cuisine. The skin or rind stands out when it is crisped by frying or roasting. Or braise this cut for a dish that is melt-in your mouth smooth and tender. Slice thin and grill for for a dish that emphasizes the rich and deep smoked porcine flavor. Comes individually vacuum packaged for convenience.